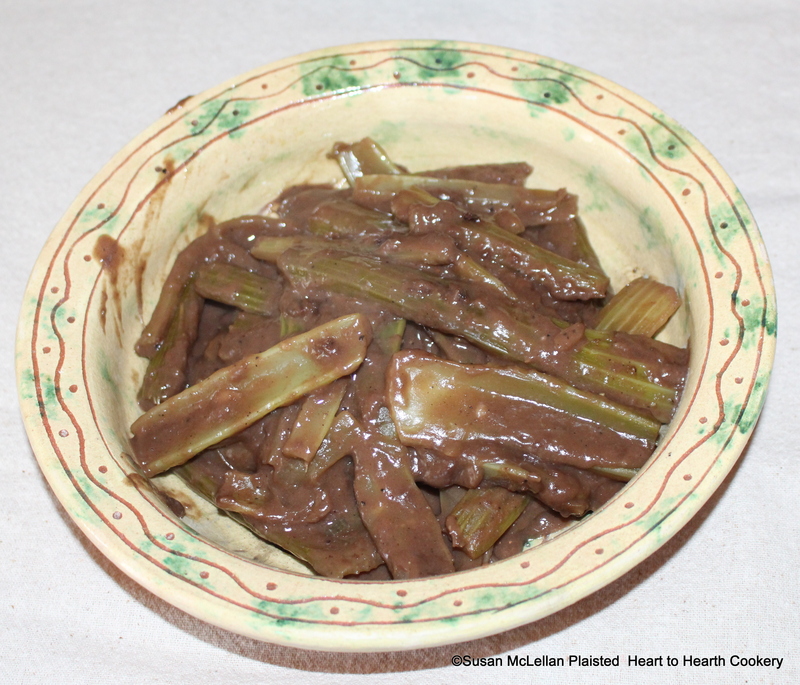 The full receipt (recipe) for To ragoo Celery is: Cut the celery in lengths, and boil it till it is tender. Then fry and drain it, flour it, and put to it a gravy, a very little red wine, salt, pepper, nutmeg, and catchup. Give it a boil and send it to the table.